VACAVILLE UNIFIED SCHOOL DISTRICT AND FAIRFIELD-SUISUN UNIFIED SCHOOL DISTRICT. Gary A. Geren, Administrative Law Judge (ALJ), Office of Administrative Hearings (OAH), State of California, heard this matter on November 16-18, 29 and 30; December 1 and 2, 15-17, in Vacaville, California. The hearing was held telephonically on December 20, 2010 and January 3, 2011. Tania L Whiteleather, Attorney-at-Law, represented Student. Student’s Mother was present for most of the hearing. Student was not present. Van T. Vu, Attorney at Law, represented both the Vacaville Unified School District (Vacaville) and the Fairfield-Suisun Unified School District (Fairfield). Linda Donahue, Vacaville’s Director of Special Education, and Andrew Green-Ownby, Fairfield’s Director of Special Education, were present throughout the hearing. 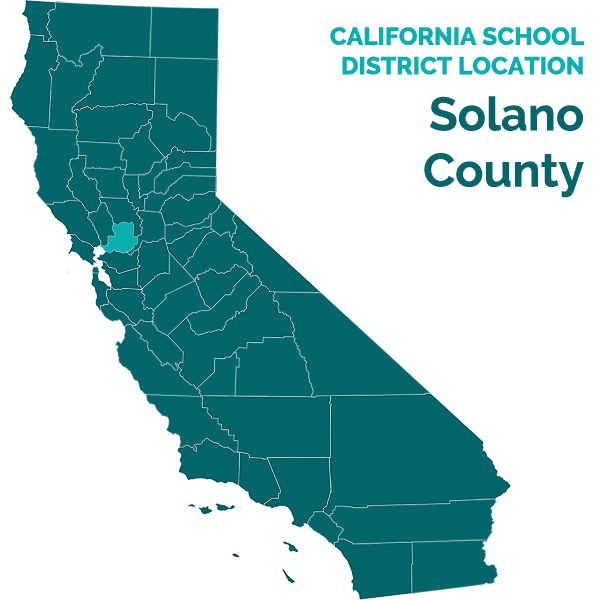 Vacaville and Fairfield are both members of the Solano County Special Education Local Planning Agency (SELPA). The matter was filed on August 5, 2010. The matter was continued each day between hearing dates. The matter was held open to allow the parties to file closing briefs. On January 10, 2011, the briefs were filed timely and marked as Districts’ 47 and Student’s JJ, respectively. As compensatory education to remedy Districts’ alleged failure to provide these placements and services, Student requests a private placement for two years at the STAR Academy, in San Rafael, California. Student alleges that while Districts identified him as having a Specific Learning Disability (SLD), they failed to further define the SLD as being an Auditory Processing Disorder (APD). 3 APD is is a type of SLD. 4 Student contends that had Districts made this distinction, they could have offered more appropriate services and placements. Districts contend they offered Student a FAPE in his least restrictive environment at all times, and that they provided him accommodations and placements identical or similar to those ultimately recommended by the independent assessors. As set forth below, Districts’ contentions are better supported than those of Student. 1 The sequence of these issues is modified slightly from the Order Following PHC, so that the issues may be addressed chronologically. The wording of the Order was also slightly modified for the sake of clarity. 1. Student is a twelve-year-old boy. He resided in Fairfield until March 2008, at which time he moved to Vacaville, where he presently resides. 2. Student was first found eligible for special education and related services in preschool at the age of three (2001-2002 school year). For the 2002-2003 school year, Student attended a preschool special day class. Fairfield conducted follow-up speech/language, academic, and psychoeducational assessments. In May 2003, Fairfield determined Student was no longer eligible to receive special education because he had caught up to grade level. Student returned to a general education kindergarten class for his following school year. 3 For purposes of special education eligibility, a SLD is generally described as a severe discrepancy between achievement and intellectual ability in oral expression, listening comprehension, written expression, basic reading skill, reading comprehension, mathematical calculation, or mathematical reasoning. At all times relevant, Districts determined that Student was eligible to receive special education services because of a SLD in speech and language. 4 Auditory processing describes what happens when the brain recognizes and interprets sounds as they travel through the ear and are changed into electrical information to be interpreted by the brain. A “disorder” is present when something is adversely affecting the processing or the interpretation of the sounds. An auditory processing problem is not synonymous with an auditory processing disorder. The ability to accurately process sounds requires certain mental abilities, such as attention and memory. 5 A summary of Student’s prior IEP meetings are relevant to determine what Fairfield knew about Student’s needs for the year in question. Student started kindergarten during the 2003-2004 school year. Sometime after the first trimester, Student’s family relocated within the Vallejo Unified School District (Vallejo). Vallejo determined Student to be ineligible to receive special education services. In the 2004-2005 school year, Student’s first grade year, he returned to Fairfield. In October 2004, Student’s teacher became concerned that his language, fine motor, social skills, and his academics were below grade level. She convened a Student Study Team meeting and she began providing Student with interventions in math and reading/language arts. At the end of the school year, she recommended he repeat the first grade, which he did during the 2005-2006 school. Student then completed that year and he was passed to the second grade. For Student’s third grade year, the 2007-2008 school year, Student was enrolled in a general education classroom comprised of 20 students. Student passed the third grade; however, testimony established that when compared to later years, the language used in third grade classrooms is relatively simplistic and concrete, with very few abstract ideas being discussed. Third grade students are heavily guided by teachers throughout their days; the development of organizational skills is not emphasized until later in elementary school, starting with the fourth grade. 3. Student’s special education teacher, Jennifer Killam, scheduled the first IEP team meeting for Student’s fourth grade year. Prior to the meeting, she worked with Student’s general education teachers, Ms. Chancellor and Ms. Emig, to collect data about Student’s present levels of performance. All three teachers conducted informal assessments of Student. Attendees at the meeting were Mother; Ms. Geller (Mother’s educational advocate); the school principal; Ms. Castro (program coordinator); and the three teachers. Prior to the meeting, Ms. Killam drafted a proposed IEP, which included goals in the areas of reading fluency, number sense, and multiplication. After she drafted the goals, she again consulted with Ms. Chancellor and Ms. Emig about whether they believed the goals to be appropriate. Ms. Chancellor and Ms. Emig agreed the goals drafted by Ms. Killam were, indeed, appropriate based on their observations and informal assessment of Student. Ms. Killam provided Mother with a copy of the proposed IEP a few days before the meeting for her review and consideration, so that she could be better informed, and thus be a more meaningful participant in the meeting. Mother and Ms. Geller met for the first time on the morning before the meeting started. Mother and Ms. Geller previously spoke on the phone; they had exchanged some of Student’s educationally related paperwork before hand, but Ms. Geller had a limited understanding of Student’s educational history at the time of this meeting. While Mother is a kind, compassionate person, as well as a dedicated parent, she admitted that she has her own difficulties in communicating complex information, thus bringing into question how well she communicated to Ms. Geller Student’s unique special educational needs. In any event, Ms. Geller, who had not met Student, knew less about his needs than did his three teachers. At the meeting, Mother told the team she was concerned that Student’s behavior interfered with “all aspects of life both in and out of school.” Mother requested the IEP to be amended to provide more behavioral support. She then informed the team that based on Student’s recent eye examination she believed his poor vision may be adversely affecting his academic studies. Mother’s observation about Student’s behavior was shared by his teachers who reported Student’s behavior impeded his functioning in the classroom. For example, Student could not stay on task; took a long time to gather materials from his back pack and desk; and he needed many teacher prompts to complete tasks, including activities he had done before. Ms. Geller expressed concern about Student’s reading abilities. In response to these concerns, the team added two additional goals, one in “on task” behavior and the other in reading comprehension. To implement the goals, Fairfield offered to provide Student with 120 minutes per day in the Resource Specialist Program (RSP). His time in the RSP was to be divided into 30 minutes for math; 30 minutes for writing; and 60 minutes for reading. This proposed IEP was consistent with Ms. Geller’s request for Student to receive one hour per day of reading intervention. Shortened work assignments; assignments adapted to meet Student’s abilities; use of books on tapes; use of manipulatives; access to computers; peer tutor/staff assistance; visual reinforcement; preferential seating; use of a sight planner; short breaks between assignments; home to school communication system; the presentation of tasks or directions in single steps; repetition of instructions/directions [teaching and reteaching]; checking for comprehension; extended time to complete assignments; flexible school settings and scheduling; extra textbooks; and the breaking up of multisubject tests into component parts. Furthermore, the IEP and testimony showed that Fairfield intended to continue to work on identifying any additional organizational and behavioral accommodations and goals that might be appropriate. After the meeting, Ms. Killam sent Mother a “clean copy” of the revised proposed IEP that contained the newly drafted goals added at the meeting. Mother, acting on the advice of Ms. Geller, refused to consent to the proposed IEP. Instead, Mother requested to reconvene the IEP team meeting after Student completed his scheduled eye examination. 5. An unfortunate development at this meeting was a disagreement that arose between Ms. Geller and Ms. Castro regarding Ms. Geller’s request for an audiological assessment. Despite Ms. Geller’s limited involvement with Student’s educational needs, she opined that he had an APD and she demanded that an audiological assessment be completed to confirm her diagnoses. Ms. Castro stated that a school psychologist was the appropriate assessor to diagnose an APD and, therefore, she refused to offer an audiologist to conduct the assessment. Ms. Geller is correct that an APD is a diagnoses made by an audiologist, and not by a school psychologist. Despite Ms. Castro’s mistake, however, Fairfield timely rectified this error. As Fairfield agreed to do, either on the day of, or the day after this IEP meeting, it sent Mother a proposed assessment plan. The plan is dated October 24, 2008. The assessment form shows Fairfield proposed three assessments: Language/Speech/Communication; General Ability; and Audiology. The assessment plan offered an audiologist to conduct an “Audiological Assessment” of Student, just as Ms. Geller requested. During the meeting [October 24, 2008], we discussed a comprehensive audiological evaluation by an audiologist for [Student] to consider his needs related to a suspected auditory processing disorder and to learn where the process breaks down. [Mother] noted that an audiologist had assessed his hearing acuity in the past. The assessment plan notes “Audiological Assessment” but [Mother] believes the description of the assessment is ambiguous and [sic] general and does not appear to address her specific request for [Student]. Measures the nature and degree of possible hearing loss. These tests may include measures of how well an individual hears, understands, and listens to speech, ongoing assessment of adequacy of hearing aids and monitoring of hearing levels is indicated for some individuals. [Emphasis added]. The significance of Ms. Geller’s mistake cannot be overstated. The gravamen of Student’s case is that Fairfield failed to diagnose Student’s alleged auditory processing disorder. However, approximately two and one-half years ago, Fairfield agreed to conduct the very assessment needed to confirm or to rule-out the existence of such a disorder, but Mother failed to sign the assessment authorizing it. Ms. Castro’s testimony confirmed that the assessment plan was offered in direct response to Ms. Geller’s request for it. For Student to now contend that the audiological assessment was not intended to consider whether an APD existed is contradicted by the language of the assessment plan, and the more credible testimony of Ms. Castro on the point. Mother testified that after this IEP meeting, Ms. Geller advised Mother to move from Fairfield to Vacaville because Ms. Geller perceived them to be a more cooperative district. In the spring of 2009, acting under Ms. Geller’s advice, Mother arranged to move to an apartment in Vacaville. 6 Neither Mother nor Ms. Geller advised Fairfield that Mother would be moving from the district. 6. Ms. Killam, Ms. Chancellor, and Ms. Emig testified in this matter. All three teachers believed the proposed IEP was appropriate to meet Student’s unique needs and that it would have provided him with meaningful educational benefit had it been implemented. Their opinions were supported by their informal testing; their observations; the information provided by all team members; and their collective educational experience. The accuracy of their collective opinions regarding the identification of Student’s unique needs, the appropriateness of his goals, and the reasonableness of his accommodations, was not brought seriously into question during the hearing. 6 Mother testified that her move required a substantial effort because she had to complete a cumbersome process in order to have her Section 8 housing benefits transferred from one residence to the other. Accordingly, her move from Fairfield was well under way long before it actually occurred. 7. Attendees at this meeting held in Fairfield were Mother; Ms. Geller; Ms. Castro; Ms. Emig; Ms. Killam; Ms. Chancellor; and Ms. Potolone, school principal. Student’s teachers reported on Student’s progress and provided more information about Student’s baselines, in response to Ms. Geller’s inquiry raised at the prior IEP team meeting. District’s team members proposed goals in reading; reading fluency; reading comprehension; paragraph writing; number sense; and organization. District proposed that Student receive 120 minutes per day, five days per week, for a total of 600 minutes, of specialized instruction in the RSP. Under this proposal, Student would receive daily RSP support for 30 minutes in the areas of math; written language; reading; and organization. Assignments adapted to his skill level; reduce/shortened assignments with homework; books on tape; use of manipulative; access to computer on campus; peer tutor/staff assistance; visual reinforcement; preferential seating; use of assigned notebook planner; short breaks between assignments; cues/prompts/reminders of rules; home school communication system; one/direction given at a time; instructions repeated/rephrase; check for understanding; extended time to complete assignments; general education report card to contain special-education notation; flexible seating; test given with flexible seating, flexible time/scheduling, shortened time segment, and broken into parts. 9. Student’s teachers persuasively testified they believed the proposed IEP addressed Student’s unique needs and would have provided him meaningful educational benefit. In contrast, Ms. Geller continued to express general dissatisfaction with the proposed IEP and requested the goals be altered to make his reading goals more “challenging,” despite the fact he had not satisfied the goal. This proposed IEP would have provided approximately five times more services than Student received under his existing 2007 IEP, yet Mother refused to consent to its implementation on the advice of Ms. Geller. 10. Ms. Killam’s practice is to attempt to schedule dates and times of future IEP team meetings before concluding the current meeting. At the conclusion of the March 2009 IEP team meeting, Ms. Killam discussed meeting times with Mother and Ms. Geller. None of the several dates Ms. Killam proposed were mutually agreeable to Ms. Geller or Mother. Ms. Killam persuasively testified that scheduling the IEP meetings was difficult because of the number of participants, and the need to schedule a facilitator.7 Because Mother was busy with her own schedule, she told Ms. Killam she had limited availability during all of spring 2009. Ultimately, Ms. Killam set Student’s IEP team meeting for May 22, 2009, and properly provided notice to Mother well in advance of the meeting date. Ms. Killam again sent a draft of the proposed IEP for Mother’s review prior to the meeting to facilitate and encourage her participation. Parent indicated she was not able to attend and requested another rescheduling of the meeting. The district declined to reschedule and informed the parent that the meeting would go forward, her right to send a representative in her place and implementation of the IEP would not go forward without her consent. Ms. Geller did not attend the meeting either. The facilitated meeting went forward. The educational team members thoroughly considered the concerns that had been expressed by Mother and Ms. Geller at the meeting held seven weeks earlier. 12. The Fairfield’s members of the team reviewed the findings from a recently completed occupational therapy assessment (sometime before this meeting Mother provided consent for this assessment to be conducted) and proposed to provide Student with occupational therapy services. Fairfield proposed to increase the sum of his special education and related services from 600 minutes per week to 750 minutes per week, along with providing the same accommodations offered in the proposed October and May IEPs. Fairfield proposed six goals in the following areas: reading fluency; reading comprehension; paragraph writing; number sense; “on task” behavior; and organization. The proposed IEP was modified to reflect these changes, and Fairfield mailed a copy of it to Mother for her review and comment. 13. Mother presumably received this proposed IEP, testifying that sometime in May she received a large “packet” from Fairfield; however, Mother did not review this “packet” because had already arranged to move from Fairfield to Vacaville. Mother did not attempt to notify Fairfield of Student’s impending departure or of her failure to review the latest proposed IEP. Less than two weeks after this IEP team meeting was held, the school year ended. 7 Facilitators are neutral third parties who attempt to assist IEP teams to conduct efficient, cooperative IEP meetings. Facilitators are provided at no expense to parents. Mother never provided Fairfield with the consent to implement any of the proposed IEPs and she consented only to the occupational therapy and speech/language assessments of the October 24, 2008 assessment plan. After Ms. Geller’s letter of November 2008, Mother nor Ms. Geller raised the audiological assessment issue again. 14. Teachers’ testimony established that fourth grade is a challenging time for all students because it is a period of significant transition. For example, students are required to be more self-sufficient and they receive fewer teacher prompts. The curriculum moves from concrete principles to more abstract ideas, thus requiring a higher order of reasoning. Also, class sizes became larger. Students are also required to seamlessly transition from class to class. In contrast to Student’s third grade year where Student had one teacher in a 20student-class, in the fourth grade, Student was co-taught by two teachers, sharing 68 students, in two separate classes, where throughout the day, he was required to transition back and forth between these two classes, as well as to transition to and from the RSP room. Ms. Chancellor made clear that students in the fourth grade must be better organized and that Student had historically struggled here. The fact Student did not have greater support for his organizational challenges is not due to the failure of Fairfield because it offered to provide Student a goal in “organization,” but Mother refused. Ms. Emig, persuasively testified Student’s difficulty in following directions went beyond his the mere ability to process verbal instructions. Ms. Emig observed Student had great difficulty remembering tasks, including those that had been well rehearsed. For example, despite receiving repeated guidance on classroom routines, such as how to start the day, Student entered Ms. Chancellor’s class each day unable to stow his backpack and his jacket in their appropriate places; he had difficulty taking his a seat in an orderly fashion; and he struggled to retrieve his book, pencil, and paper. Ms. Chancellor held similar observations, and added that in her experience students who become easily confused in completing routines will look to see what other students are doing, and then mimic their conduct. According to Ms. Chancellor and Ms. Emig, Student seemingly lacked the ability to gain direction in this way. Academically, Ms. Chancellor and Ms. Emig credibly testified that Student had serious difficulty with the more rigorous and linguistically complex environment presented by fourth grade materials; Student could not keep pace with his general education peers. Student was offered goals in reading fluency; reading comprehension; paragraph writing; and number sense, aimed at helping him in these areas, but the implementation of these goals was not consented to. 15. No one who testified made more consistent and frequent observations of Student’s performance in an educational setting than did his three teachers. Their identification of Student’s unique needs and the appropriateness of the goals they drafted to address them are entitled to substantial weight in deciding this matter. A review of the notes from Student’s IEP meetings; the proposed IEPs that followed the meetings; the proposed assessments; and the persuasive testimony of Student’s teachers and assessors, amply supports the conclusion that Student’s unique needs were accurately identified and addressed and that his proposed IEPs were reasonably calculated to provide Student with meaningful educational benefit based on the information that Fairfield possessed in October 2008 and March/May 2009. Fairfield listened to the concerns raised by Mother and Ms. Geller regarding Student’s education difficulties, as evidenced by Fairfield drafting new goals in response. 16. Mother and Ms. Geller did not act cooperatively in the IEP process. Their refusal to consent to the proposed IEPs was not well taken. For example, Ms. Geller’s practice was to find a perceived fault with a single portion of a single goal and then recommend that Mother not consent to the entire IEP. Ms. Geller light-heartedly testified that she has “obsessive compulsive disorder about goals; anyone will tell you that.” Her selfassessment light hearted or otherwise, appears to be accurate. Here, her practice resulted in Student working his entire fourth grade year under an outdated, single-goal IEP developed at the beginning of his third grade year that did not support him for the greater challenges posed by the fourth grade. The effectiveness of special education services and supports depends not only upon an IEP’s accuracy and intensity, but also upon its timing. Interventions are most successful when implemented as early in a student’s development as possible. Mother’s reliance on the advice of Ms. Geller resulted in her son not receiving the timely and appropriate interventions proposed by Fairfield during his fourth grade year, which set his educational progress farther behind because of his lack of preparation to meet the greater challenges posed in his subsequent school years. 17. It is also found that to the extent Student may have suffered an APD that could have been diagnosed during his fourth grade year; Mother’s lack of cooperation in providing consent to Fairfield’s offer to complete an audiological assessment relieved Fairfield from any liability for failing to have made such a diagnoses. Lastly, Mother’s refusal to provide consent to implement the proposed IEPs and the assessment plan, as well as not reviewing the May 2009 proposed assessment, because she was planning to leave the district, supports a finding of lack of cooperation on her part. 18. On approximately August 5, 2009, Vacaville became Student’s district of residence. Vacaville was obligated to implement services comparable to Student’s last agreed upon and implemented IEP. Because Mother refused to consent to any of Fairfield’s proposed IEPs, Student’s governing IEP remained the November 2007 IEP. In the eighteen months or so that followed Student’s enrollment, Vacaville convened no fewer than eleven IEP team meetings. As set out below, Student’s unique needs, including his processing abilities, were analyzed and discussed in great detail and considered fully by Vacaville’s team members. Student’s general education teacher gave all of her students a fourth grade math diagnostic test to determine how much of their fourth grade material they had retained. She estimated Student performed at a 3.7 grade level; however, Student presented as being particularly weak in math facts. Student read at a second grade level and he “wrote a lot less” than the other students did during the 45 minute test. He appeared to have phonics skills, but was unable to appropriately spell. He had difficulty with the physical task of writing. Mother reported that Student “used to get in a lot of trouble for making inappropriate sounds and noises” in class. Ms. Geller expressed she personally knew Student’s RSP teacher, Jackie Jones, and was aware she was trained in Lindamood-Bell teaching techniques. Ms. Geller thought a Lindamood-Bell-styled instruction might help with Student’s “auditory processing issues.” Ms. Geller indicated that she would be making a request for an audiological assessment sometime in the future. Before the meeting adjourned, the educational members of the team agreed to look at Student’s goals from Faifield; collect information from teachers; have the RSP teacher conduct informal assessments; consider any assessment requests; and reconvene the meeting on August 31, 2009. Lastly, in an effort to determine Student’s unique needs, the educational members of the team requested consent from Mother to assess Student in the areas of academic achievement; language and communication; and occupational therapy. Consent was not given at that time. 20. Attendees were Mother; Ms. Geller; the general education teacher; the program specialist; a school psychologist; a behavior specialist; an occupational therapist; a speech therapist; a resource specialist; and the school principal. The meeting notes for this IEP are two and one-half pages long, typed in small font, and chronicle observations and concerns of the team members, including those expressed by Mother and Ms. Geller. Student’s RSP teacher, Jackie Jones, agreed with Ms. Thomas’ observations. She proposed Student continue to receive his core curriculum education in the general education class, and to transfer to her RSP classroom where she could work on his more specific needs, including reading. The occupational therapist expressed a desire to do more assessments in the area of visual perception. She suggested the team consider three additional goals, including a goal in handwriting. The speech and language therapist, Toni Bentley, shared results from an old assessment and informed the team that she would soon be conducting her own assessment. Based on her review of the old assessment, and at the insistence of Ms. Geller, she drafted speech and language goals. Her services were added to the IEP. Based on Student’s interest in music, Student’s principal, Eldridge Glover, wanted Student enrolled in the campus’s band class. Mr. Glover also wanted to get Student’s speech and occupational therapy assessments completed. The program specialist, Rise Revis, suggested moving up Student’s triennial IEP team meeting so that all assessments could be completed at the same time, thus providing a comprehensive view of Student’s unique needs, rather than reviewing Student’s profile in a piecemeal fashion. The school psychologist proposed doing the psychological assessment immediately. The behavior specialist observed Student on three separate occasions, and in his opinion, there were no suggestions of maladaptive behaviors warranting any behavioral support. Rather than discussing Student specifically, Ms. Geller noted how other districts tend to deal with students she considered to be similar to Student. 8 Mother told the team that Student had difficulty following one-step directions and that he needed reminders to complete tasks while at home. 8 Ms. Geller attends at least one IEP meeting per day for her clients during the months that schools are in session. It is difficult to accept the notion that she could be adequately prepared for this many meetings, and for example, her failure to fully comprehend the October 2008 assessment plan indicates that she was ill-prepared on least one point in this matter. Pending Student’s triennial IEP team meeting, scheduled for October 2009, where Student’s IEP would be more comprehensively reviewed, Vacaville proposed an IEP with six goals: one in receptive language; two in fine motor skills; one in reading; and one in organization. The IEP proposed 560 minutes per week of group instruction, where Student would receive 80 minutes per week in math, 240 minutes per week in core program support; 140 minutes per week in interventions and diagnostic treatment; 1,407 minutes per year of occupational therapy services; 360 minutes per year for diagnostic treatment addressing speech and language issues; and 1,200 minutes per week in Student’s regular education classroom; as well as specialized academic instruction in the areas of math, written language, behavior/organization, and reading. 21. Mother agreed to the IEP, but signed it with the following reservation: “I am agreeing to the IEP, but the reading goals is [sic] not adequate to address his needs.” The meeting ended and the members agreed to reconvene on October 12, 2009. At hearing, Mother and Ms. Geller could not identify which portion of the reading goals they disagreed with. Mother requested Vacaville to “hold off” on conducting the academic and psychological assessments, and Mother refused to move the completion of Student’s triennial assessment forward, as suggested by Ms. Revis. Because Mother believed Student had “been assessed too much,” she provided consent only to the OT and SLT assessments, thus creating an unnecessary delay in Vacaville’s good-faith attempt to further identify Student’s unique needs. 22. Attendees were Mother; Ms. Geller; the occupational therapist; the general education teacher; the special education teacher; the speech and language therapist; the school psychologist; the principal; and the program specialist. Student’s general education teacher noted Student had difficulty following instructions, and he was starting to become distracted, as well as distracting other Students. The speech and language therapist discussed her assessments; the general education teacher explained informal tests she performed; Student’s academic testing results were reported to the team by the RSP teacher; and the occupational therapist discussed the results of his assessment. The team discussed the ongoing issue of Student’s need to wear glasses at all times and his refusal to do so. The team also discussed the need for a binocular vision assessment. Mother consented to Vacaville’s request to perform a psychoeducational assessment because she wanted a second opinion regarding Student’s aptitude because she disagreed with an assessment completed by the North Bay Regional Center who had recently assessed Student’s developmental disabilities. Ms. Geller had directed to Mother to the Regional Center because Ms. Geller believed Student qualified for the receipt of the Center’s services. This was the first time Mother informed District that Student had been evaluated by the Center. Mother did not explain what the assessment found, or why she disagreed with the Center’s findings. The team discussed Student’s future placement. There was no offer of FAPE provided at the conclusion of this meeting because the team agreed to meet again in two weeks and to present a comprehensive and detailed IEP. The speech and language therapist had thoroughly assessed Student. She concluded Student had problems with semantic aspects of language (functional decoding, organizing, and interpreting acoustic signals); reduced knowledge and ability to utilize grammatical structures; difficulty understanding simple and complex language; impaired comprehension of humor or abstract language; significantly delayed expressive and receptive vocabulary; limited verbal output; and difficulty participating in social conversation. Essentially, she believed Student had severe expressive and receptive language deficits. The team developed an IEP for Student that included goals in the following areas: reading (three); reading comprehension; reading fluency; phonemic awareness; written language; paragraph writing; math (two); number sense; fine motor skills (two); sensory motor skills-registration; receptive language; on task behaviors (two); organization; receptive language; syntax; multiple meanings; and behavior. In total, 22 goals were proposed. Support for Accessing Core Curriculum: Assignments adapted to students level; reduce/shortened assignments with homework; books on tape; use of manipulatives; access to computer; peer tutor/staff assistance; and visual reinforcement. Organization/Behavioral Support: Preferential/assigned seating; use of assigned notebook planner; short breaks between assignments; cues/prompts/reminders of rules; and home school communication system. Strategies Related to Instruction/Grading: Present one/direction at a time; instructions repeated/rephrased; check for understanding; extended time to complete assignments; and general education report card to include special education notation. Strategies Related to Test Situations: Flexible setting outside of regular setting; flexible time/scheduling; shortened time segment; and tests broken into component parts. 25. The team discussed placing Student in a special day class (SDC). Mother and Ms. Geller agreed to view the SDC. The team also asked the school psychologist to observe Student’s classroom behaviors, and the team noted Student had been referred to the Regional Center to assess whether he had autism; Mother did not provide the Regional Center assessment results to Vacaville. Mother consented to the IEP, however, Ms. Geller wrote on the signature page next to Mother’s signature, “I believe the goals and services are inadequate to address all of [Student’s] identified needs.” No greater specificity was provided as to why Ms. Geller felt the IEP was inadequate. 26. Attendees were Mother; Grandmother; Ms. Geller; the occupational therapist; the school psychologist; the general education teacher; the special education teacher; the speech and language therapist; the coordinator of special education services; an administrative designee; and a facilitator. School psychologist Pam Kennedy Hunt presented her psychoeducational assessment findings. Ms. Kennedy Hunt holds a bachelor of arts in psychology from the University of California, Berkeley (1971); and a master’s in psychology from San Francisco State University (1974). She holds a credential in Pupil Personnel Services-School Psychology (1975) and an Administrative Services Credential. She is a licensed educational psychologist and she has been a school psychologist in Vacaville since 1976. Prior to that, she was a school psychologist in Napa, California. In her 36 years working as a school psychologist, Ms. Kennedy Hunt has assessed children at all grade levels. Over the last seven years, she has exclusively assessed children in preschool through the sixth-grade. She estimates she has assessed over 1,000 students. Once Mother’s consent was garnered, Ms. Kennedy Hunt expeditiously undertook a comprehensive assessment. She concluded Student has deficits in language; attention; some memory tasks; some phonological processing skills; and some components of visual processing and planning. She also noted Student’s difficulties with sensory regulation; metacognitive and executive functioning; adaptive and social/emotional skills; and behaviors. She assessed Student at various times from November 12, 2009 through January 6, 2010. She reviewed Student’s educational records and either administered or had administered by other qualified assessors, seventeen separate tests. She interviewed Student and Mother and she made classroom observations. She then prepared her Psychoeducational Evaluation report, which is 21 pages long, single spaced, and uses a small font. It is comprehensive in its scope and it is detailed in its findings. Ms. Kennedy Hunt’s records review showed Student exhibited weaknesses in higher-level reasoning and cognition as far back as the second grade. Student’s current assessments showed he has average successive processing skills; below-average skills in simultaneous processing; and a low-average range in planning skills. His ability to maintain attention is an area of weakness, as is phonological segmentation; phonological awareness; memory and rapid naming. [Student’s] teachers and mother rated him with delayed adaptive skills, communication skills, and social responsiveness. They report atypical, autistic like behaviors. They are varying adult and self ratings of anxiety and depression. He seems to experience some social stress, significant feelings of inadequacy, and some obsessive fears, although his self reporting is inconsistent and validity of scores is uncertain. Based on these test results, [Student] qualifies for special education services as a student with Autism (an educational diagnosis of autistic like behaviors), a speech and language impairment, and he has specific learning weaknesses as well. Attention deficits suggest he is also eligible under the category of Other Health Impaired. [Student’s] teachers and parent both currently report that he has significant difficulties with social/pragmatic interaction and demonstrates delayed social skills. Social Responsiveness Scale ratings all suggested concerns about various aspects of social responsiveness ranging from mild/moderate to severe (and one rating of social awareness). Deficits were noted in social cognition, social awareness, and social communication. Raters noted that he seems unaware of his surroundings and of the feelings and moods of others. Autistic mannerisms are observed. Specifically he is reported to hum and make noises. His mother reports that he puts things in his mouth. At times, eye contact is reported to be a concern. He has mild difficulties with changes in routine, and is not flexible when under stress. Atypical, odd, or bizarre behaviors were rated by teachers, his mother, and even in his self ratings. All raters indicated that he talks about hearing sounds or voices that are not there. It is unclear what he is hearing, as he has difficulty expressing himself when asked about the voices or noises. He can be obsessive in his thoughts relating to his fears, TV shows, and natural disasters. He does not demonstrate extreme resistance to controls. Based upon these observations of language and social delays, obsessive thoughts, audit repetitive behaviors and autistic like mannerisms, it appears that Student meets the educational definition of autism (autistic like behaviors). Ms. Kennedy Hunt testified in a credible and persuasive manner. She defended her findings and opinions during a lengthy cross-examination. Her opinions stated in both her report and her testimony was based on a comprehensive review of Student’s historical information and on a comprehensive battery of tests. Ms. Kennedy Hunt was imminently qualified to conduct such an evaluation based on her skill, training, education, and experience. The soundness of her findings was not seriously brought into question. Generally, her findings were consistent with the observations and assessments made by those who had previously looked at Student’s strengths and deficits, and are consistent with the record contained herein. Accordingly, her opinions about Student’s needs are given substantial weight in deciding the issues presented. 27. Jackie Jones conducted the academic assessment portion of the psychoeducational assessment. She also worked with student in her RSP classroom from August 2009 to January 2010; was Student’s case manager; attended all of his IEP team meetings; prepared the IEP team meeting notes; and consulted with Student’s general education teacher regarding strategies to best address Student’s needs. Ms. Jones has worked for Vacaville for 24 years, 20 years in special education. Ms. Jones holds a bachelor of arts degree in education; a masters degree in administration, and is nine units short of obtaining her Ph.D. in human science. For the last fifteen years she has been on the faculty at the University of Phoenix. She has completed formal trainings in Lindamood-Bell strategies. Ms. Jones provided compelling testimony. Unlike the other assessors, Ms. Jones experienced teaching Student on a daily basis. Her teaching skills were underscored by her ability to provide Student with five months worth of reading growth over a five-month period. Ms. Jones dedication to the needs of Student came through in her testimony. For example, she spoke knowledgeably about Student’s needs in a way that could only be gleaned from working closely with him. She knew what he liked and disliked and which teaching strategies worked and which did not. Her direct and cross examinations were lengthy, but ultimately proved that Ms. Jones had a command of the facts surrounding Student’s educational needs. Her answers were candid and straightforward, and in no way evasive. She exhibited great patience while on the stand. Ms. Jones was an integral member of Student’s IEP team. Accordingly, she participated in Student’s numerous IEP team meetings, and ensured that her observations of Student were duly noted. Because of her extensive experience in dealing with special education students, she holds a good idea of what an IEP should reflect, generally, and she made sure Student’s IEPs met the mark, specifically. Again, Ms. Jones helped Student make five months of reading progress over the five months she worked with him, which is a testament to her considerable teaching skills. Accordingly, Ms. Jones testimony regarding her assessments of Student; her observations of Student in the classroom; her participation in each of his IEP team meetings; and her skill, training and experience, requires that substantial weight be given to her opinion that Student’s needs were adequately identified and that his IEPs were appropriate. Student’s general education teacher noted Student’s behavior “is steadily deteriorating. He’s not trying to complete classroom assignments and makes faces at teacher.” Student’s occupational therapist reported that he is working on Student’s goals, and Student is making progress. Mother reported on Student’s health and development, and noted he had another eye examination scheduled. She added Student historically has had problems with memory, lack of focus, and difficulty following through with the completion of tasks. Ms. Geller discussed an unspecified “handicapping condition.” A discussion of whether Student’s primary disability should be changed to autism, with a secondary disability of speech/language, followed Ms. Geller’s comment. Ms. Geller suggested a mental health referral, and requested that Vacaville provide Student with eight weeks of counseling. Ms. Geller expressed concern about the “fragmentation” of Student’s school day because it involved so much transitioning. The consensus of the team was that Student’s day was, indeed, too fragmented and so as to reduce the number of distractions caused by frequent transitions, his placement was changed from the RSP to the special day class (SDC). The team reviewed Student’s progress on the goals in his October 2009 IEP. Student’s reading comprehension goal was modified to increase the accuracy rate from 80 percent to 95 percent, at the request of Ms. Geller who believed Student needed a greater challenge. Also, the team added four goals, one each in the areas of reading; written language; readingphonemic awareness; and math. On the IEP page titled, “Signature and Parent Consent,” Mother checked the box stating, “I agree to all parts of the IEP,” without any qualifying comments and she signed the IEP. 29. Attendees were the IEP facilitator; Mother; Ms. Geller; administrative designee; special education coordinator; program specialist; general education teacher; special education teacher; speech and language therapist; occupational therapists; school psychologist; Patricia Gillian; and Dr. Grandison. Dr. Grandison and Ms. Gillian presented their reports and findings. Hospital, in Boston, Massachusetts. (1993). She has been a licensed clinical psychologist in California since 1996. She has an impressive work history: From 1994 through 1995, she was a Clinical Instructor, Department of Psychiatry, Harvard Medical School; from 2003 through 2006 she served as the Director of the Neuropsychology Assessment Service, Children’s Hospital, Oakland, California, she currently serves as an Assistant Clinical Professor, Department of Psychiatry, University of California, San Francisco, where she has worked since 1997. This work includes her supervision of postdoctoral fellows. Lastly, her Curriculum Vitae show she has presented at 37 scientific meetings. Since 2006, she has worked exclusively in private practice conducting assessments of children. Her assessment of Student took place over the course of five separate appointments in March and April 2010. Following her assessments, she prepared a report dated May 30, 2010. Her report notes, “[Student] is referred for this assessment for clarification regarding strengths, needs, as well as recommendations for appropriate educational placement and services.” Dr. Grandison’s report includes a summary of Student’s educational records and of previous assessments she reviewed prior to commencing her assessment. Her preparatory work included interviews with Ms. Geller and Mother, and an observation of Student at school. Her review noted Student completed the Cognitive Assessment System (CAS) with highly variable results, ranging from a standard score of 57 (below the first percentile for attention) to his highest score of 92 (30th percentile). On the Test of Auditory Processing-3 (TAPS-3), his scores were again highly variable, and yet again, on the CTOPP Student’s standard scores still varied significantly. On the Behavior Assessment for Children, Second Edition (BASC-2) completed by Student’s teacher, clinically significant problems were seen in the domain that measures school problems for both attention and learning. On the Behavior Rating Inventory (BRI), Student’s general education teacher rated him as, “struggling” on initiating; working memory; planning/organizing; organization of materials; and monitoring. Student’s special education teacher rated him similarly. In her interview, Mother confirmed that Student struggles with working memory, as well as planning and organizing. Dr. Grandison’s report notes Mother took Student to the Regional Center for an assessment. The Regional Center assessment was done by Dr. Powers, whose assessment included the administration of the Stanford-Benet Intelligence Scale, 5th Edition, for which Student obtained a Full Scale Intelligence Quotient (IQ) of 72. 9 Dr. Powers, however, concluded that Student did not meet the definition for Autism, as set forth in the Diagnostic and Statistical Manual of Mental Disorders, Fourth Edition (DSM-IV), but rather Student met the DSM-IV criteria of Borderline Functioning and Task Expressive/Receptive Disorders. Because of conflicting results on previous IQ examinations and achievement tests, Dr. Grandison administered two IQ testing instruments, the Wechsler Intelligence Scale for Children, Fourth Edition (WISC-IV) and the Comprehensive Test of Non-Verbal Intelligence (CTONI). Based on these assessments, Dr. Grandison concluded Student confronted challenges in the areas of verbal comprehension; social reasoning; vocabulary; working memory; and processing speed. Dr. Grandison noted that in the area of academic functioning, “significant concerns emerged.” Dr. Grandison concluded that Student’s reading skills were at the second and third grade levels; his reading comprehension was at an early second grade level; his ability to decode was at the later range of the second grade level; and his spelling skills were at a midsecond grade level. Dr. Grandison noted Student’s “relative” strength is in math, where Student functions at a third and fourth grade level. [H]as strong and even above average level nonverbal intellectual capacity. This is to be considered his true potential. Student has significant language processing challenges and he meets criteria for Expressive and Receptive Language Disorder. It is exceedingly difficult for him to reason in a social context and to process higher order concepts. Dr. Grandison also noted that Student has social pragmatic challenges and dyslexia. A placement at the STAR Academy in San Rafael. Dr. Grandison’s testimony largely mirrored what was contained in her report. However, her testimony did provide a larger context by which to gauge the credibility of her opinion regarding Student’s “true potential.” She testified that in her opinion Student’s full scale IQ was, “not meaningful because it does not measure a student’s potential;” therefore, she chose not to even calculate Student’s full scale IQ from either of the two IQ tests she administered. The notion of omitting a subject’s full scale IQ when assessing their true cognitive potential is, according to Dr. Grandison, a matter of the “assessor’s choice.” Be that as it may, here, by not including Student’s full scale IQ as Dr. Powers did, Dr. Grandison omitted critical information typically used to assess true abilities. Dr. Grandison stated that the Stanford-Binet test administered by Dr. Powers, and referenced by Ms. Kennedy Hunt, is a test akin to the “the gold standard.” The Stanford-Binet contains a full scale IQ component. Dr. Grandison’s effort to determine Student’s true potential is troubling because by ignoring Student’s full scale IQ, she relies too heavily on Student’s relative strengths, ignoring his deficit, and thus the “gold standard” result reached by Dr. Powers where Student’s showed an overall IQ of 72. Furthermore, Dr. Grandison failed to provide persuasive evidence that Student’s full scale IQ of 72 bears no adverse impact to his “true potential.” 10 Furthermore, Dr. Grandison’s opinion of Student’s potential stands inapposite to the weight of assessments; evaluations; observations; and reports that show Student’s cognitive abilities are not commensurate with her conclusion of his having average to above average intelligence. Lastly, the record is replete with Student’s inconsistent test scores, thus rendering it unreasonable to conclude Student’s true potential rests in the findings of some of Dr. Grandison’s subtests. For these reasons, Dr. Grandison’s opinion of Student’s cognitive potential carried little probative value in resolving the issues presented herein. 31. Ms. Gillian is an audiologist. She holds bachelor of arts and master’s degrees, in communicative disorders form San Francisco State University, 1979 and 1980, respectively. She has been a licensed audiologist in California since 1981. Dr. Gillian assessed Student and prepared her report in March 2010. As part of her assessment she obtained a history from Mother. Mother advised her that Student was diagnosed with Attention Deficit Disorder (ADD) in January 2010, but that presently he was not taking his medication. Dr. Gillian concluded Student had areas of weakness in his auditory processing system “indicating that he is not performing optimally at this time.” She also noted that her findings were “indicative” of an auditory processing deficit order. 10 Larry P. v. Riles 495 F. Supp 926 (N.D. Cal. 1979) holds that African-American students may not be assessed for special education eligibility using standardized IQ tests. This policy is confirmed by a California Department of Education (CDE) Legal Advisory. Ms. Kennedy Hunt’s testimony confirmed that the SELPA forbids the use of IQ testing African-American students because of the CDE Legal Advisory. Ms. Kennedy Hunt referenced the findings of Dr. Power’s IQ tests, but expressly did not rely on them herself in rendering her findings. With regard to Dr. Grandison, she was the IEE assessor of Student’s choice. Under Crawford v. Honig 37 F.3d 485 (9th Cir, 1994), Student’s may request IQ be used at their choosing, which is essentially what Student did here by way of Dr. Grandison. Accordingly, Student has waived any argument here that IQ cannot be considered as a variable when looking to identify Student’s unique needs. On cross examination, Dr. Gillian’s view was undermined by questioning about the American Speech-Language-Hearing Association (AASHA) requirements requiring consideration of cognitive function when assessing for an auditory processing deficit. Ms. Gillian ultimately conceded the point that cognitive ability is a variable to be considered, stating, “it is all interrelated, auditory processing is just one portion of it.” Despite the AASHA requirements, Ms. Gillian did not consider Student’s cognitive function when reaching her conclusion; as a consequence, her opinion did not carry much probative value. 32. With respect to the STAR placement, the Vacaville members of the team believed it was too early to change Student’s placement again, particularly without having reviewed Dr. Swain’s speech and language assessment and the results of the pending binocular vision assessment that had already been initiated by Vacaville. Additionally, because the school year was near its end, and Student’s annual IEP team meeting was scheduled to be held in the early fall of the following school year, the Vacaville members of the team wanted an opportunity to review Student’s progress on his goals to determine if the deficits discussed by Dr. Grandison and Ms. Gillian manifested themselves in the classroom. The Vacaville members’ decision in this regard was reasonable. Ms. Thomas used the Houghton-Mifflin reading program in Student’s general education classroom. This program includes a component for struggling students that Ms. Thomas employed with Student. Ms. Thomas also used a reading program titled Read Naturally, which is a computer-based program aimed at increasing reading fluency. Ms. Thomas persuasively testified that her classroom is run like a “tight ship,” a phrase with which she is familiar based on her 24 years of service in the United States Navy. Consistent with this description, she ensures that all students remain quiet during instructional time. A key recommendation of the independent assessors is that Student be provided with a quite classroom environment. Ms. Thomas’ manner and demeanor as she testified supports a finding that she manages her classroom capably and confidently. She was direct and clear in her speech, speaking in an even tone. She looked directly at the questioner and gathered her thoughts before answering questions. She did not fidget or otherwise show any signs of being uncomfortable while she testified, and overall expressed a sense of poise. Ms. Thomas uses a voice amplification system (FM) when providing instruction. She wears a wireless microphone that sends her voice to an amplifier and speaker located to the side of the classroom. Student was seated in the second row from the front of the class, near the side of the amplifier. Ms. Thomas used teaching strategies with Student that included repeating instructions and checking for understanding. She provided additional attention to help him at the beginning of each class, so that he would have his pencil, paper, and eyeglasses ready to start lessons on time and along with his classmates. Despite these interventions, Ms. Thomas opined that Student had not developed into the independent learner a fifth grade student needs to be. Ms. Thomas’ opinion is consistent with the fact that Student missed out on services and supports he would have received in the fourth grade had the assessments and IEPs been consented to. Prior to Student’s transfer to the SDC, Ms. Jones worked with Student four days per week: On two of those days, she spent 45 minutes working with Student on math and reinforcing the segment of the Houghton-Mifflin program being worked on by Ms. Thomas. The other two days were spent working exclusively on reading interventions, primarily using Lindamood-Bell strategies, but other strategies as determined by Ms. Jones, too. When working on reading interventions, Ms. Jones worked with Student on a one-to-one basis, providing him with intensive reading remediation. Ms. Jones described her work with Student as “old-fashioned teaching,” where she went through each sentence and helped him to sound out each word. She taught Student where to place his tongue to make particular sounds; she reinforced this by having him look in the mirror or watch her mouth and then instruct him to mimic her actions. Ms. Jones worked on Student’s pragmatic language issues by talking with him “face-to-face,” using appropriate facial expressions and eye contact. Ms. Jones chose to utilize her substantial and significant special education teaching experience to help Student’s reading skills. With Ms. Jones’ instruction, Student was able to achieve a month’s worth of growth for every month she worked with him. Ms. Jones’ reading program was intensive, efficacious, and effective; Student made more progress with reading while in her class than at any other time covered by the record. Ms. Bentley credibly and persuasively testified that she accurately identified Student’s SLT needs soon after Mother consented to her performing an assessment in fall 2009. Her assessment was thorough and her diagnoses accurate. 34. Ms. Kennedy Hunt credibly testified she did not believe the STAR Academy was appropriate for Student and that Vacaville was fully capable of meeting Student’s needs. Her opinions are supported by the practical difficulties associated with placing Student at STAR. For example, he would have to endure a 90-minute commute, each way. Ms. Kennedy Hunt accurately noted that such a commute would lead to fatigue; loss of time in his home environment; decreased ability to socialize with friends; and a school setting that did not include any associations with typically developing peers. Accordingly, her opinion that a STAR placement would likely exacerbate some of the consequences of Student’s underlying problems is logical. For example, fatigue would negatively impact his ability to focus; his pragmatic language skills would worsen because of his inability to associate with typical peers; his no-longer being able to participate in extra-curricular activities that he enjoys greatly would increase his depression and weaken his self-esteem. On balance, a STAR placement is inappropriate, and overly restrictive. Vacaville’s decision to not place Student at STAR was correct because the burden of Student spending fifteen hours per week on a school bus in light of his many challenges, would require a concomitant showing of a some tangible benefit. There is no meaningful evidence to support more benefit than harm was likely to occur. Absent from the record is any testimony from anyone officially associated with the STAR Academy explaining why such a placement was needed for Student to receive meaningful education benefit. 35. Once Student’s full battery of assessments were completed, Vacaville developed a robust IEP for him in January 2010, to which mother provided her unqualified assent. When difficulties arose with Student in his general education placement, the team timely responded with a placement in the SDC, which was done partially upon the recommendation of Ms. Geller. Student was provided a FAPE at all times throughout his fifth grade year. Vacaville thoroughly conducted, completed, and reviewed the assessments to which mother consented. Mother’s refusal to move forward the triennial assessments and IEP team meeting to earlier in the school year, effectively prevented Vacaville from doing any more that it did, at any time sooner, and supports a finding of parental non-cooperation. 36. This meeting was attended by Mother; Ms. Geller; an administrative designee; the program specialist; the occupational therapist; the school psychologist; the speech and language therapist; the literacy coach; and Dr. Tran of the University of California School of Optometry (Berkeley). The purpose of this meeting was to review Dr. Tran’s findings following her binocular vision and perceptual skills assessment. Dr. Tran presented her findings by telephone. She determined Student has deficits in phonemic awareness, a slow reading rate, and deficits in visual spatial skills. She concluded, however, that Student does not need vision therapy. Dr. Tran and the other IEP team members were primarily concerned with Student simply not wearing his glasses. Based on Dr. Tran’s explanation of her findings, no modifications were made to Student’s IEP. 37. At the IEP team meeting, Ms. Geller asked Dr. Tran numerous questions regarding her findings, and questioned the thoroughness of her assessment. Dr. Tran answered Ms. Geller’s questions, and defended the accuracy of the assessment. At the conclusion of the meeting, Ms. Geller stated that she “feels the assessment was not well done and feels that the Berkeley clinic is not that good anymore.” Nothing contained in the record suggests Ms. Geller holds any qualifications, skill, training, or experience in optometry that would lend credibility to her comments. 38. Attendees were Mother; Ms. Geller; two program specialists; the special education teacher; the occupational therapist; the speech and language therapist; the school psychologist; the literacy coach; and Dr. Swain. The purpose of the meeting was to review the report prepared by Dr. Swain, who appeared telephonically. The meeting’s notes are typed in single-space and are approximately three and one-half pages long. They are detailed and comprehensive. 39. Dr. Swain’s report was completed in late April 2010 and provided to Vacaville by May 2010. By all accounts, August 26, 2010, was earliest date that all required parties were available to meet and review her report. Dr. Swain is a speech and language pathologist and the owner/director of The Listening Center, Advanced Treatment for Listening, Communicating and Learning. She holds a bachelor of arts in speech pathology and audiology from Sacramento State University (1972); a master’s in speech pathology, Sacramento State University (1975); and a Ed.D., from the University of Lavern (1995). She has been a licensed speech and language pathologist in California since 1975. Dr. Swain assessed student on March 24, 2010. She prepared a report dated April 23, 2010. Her report sets forth Student’s relevant background; tests administered; test findings; clinical observations; a summary; and her recommendations. Dr. Swain administered the Lindamood Auditory Conceptualization Test; the Test of Auditory Processing Skills 3rd Edition (TAPS-3); the Wide Range Achievement Test (WRAT); the Test for Auditory Processing Disorders for Children (SCAN-C); the Listening Inventory; and the Programs for Advancement, Challenge and Enrichment (PACE) screening. Dr. Swain administered all six tests over the course of two hours. Dr. Swain found that Student experienced difficulty with auditory processing, explaining that auditory processing disorder is a deficit in processing auditory input, which may be exacerbated in “unfavorable acoustic environments.” As previously mentioned, Student’s classrooms were not “unfavorable acoustic environments.” Dr. Swain recommended environmental modifications, such as having teachers watch Student for signs of his of lack of attention, concentration, or understanding; having Student take untimed tests; provide Student with preferential seating; the elimination of visual and auditory distraction in the classroom; the reduction of ambient noises in the classroom; and the presentation of auditory information produced at a normal rate of speech, with good use of pitch variation and vocal expression. Dr. Swain also recommended that compensatory strategies be implemented, such as, having Student ask for clarification when he does not understand what is being said; writing down all homework assignments, reminders or instruction; and the use of multi-sensory learning. Again, all this was already being provided. Dr. Swain’s testimony essentially mirrored what she stated in her report. However, some of her testimony provided clarification. Dr. Swain noted it was not her role to look at Student’s “cognitive skills;” rather, she looked only to his “processing skills.” Yet Dr. Swain admitted that it is impossible to tell where one skill ends and the other begins, explaining that auditory processing is but one of the processes occurring along a continuum. Accordingly, auditory processing implicates various brain functions. Science cannot yet accurately discern where precisely in this continuum auditory processing occurs. For example, Dr. Swain testified that it cannot be discerned where receptive language ends and speech begins. At the time of her evaluation, Dr. Swain had not reviewed any of Student’s educational records, although they had been provided to her by Ms. Geller. Dr. Swain’s testimony, her report, and her opinions, are compromised by her failure to review these records, so that she could have expressed a more refined opinion as to what Student’s cognitive abilities, behavioral issues, and the other challenges noted in the records, may have on her opinions regarding APD. When Dr. Swain presented her report to the IEP team she clarified errors contained therein. Specifically, her report indicated that she conducted the Test for Auditory Processing Disorders in Adolescents (SCAN-A), although she actually conducted the SCAN-C. Dr. Swain’s scores on various measures were inconsistent with and, in fact much lower than, similar test results found by other assessors. For example, her administration of the SCAN-C resulted in scores in the “borderline range.” By contrast, Ms. Gillian’s administration of the more thorough and newer version of the assessment, the SCAN-3, resulted in scores entirely in the average range. Accordingly, it is difficult to square these two assessments and stands as yet another example of the inconsistency historically evident in Student’s tests scores, generally. Dr. Swain’s recommendations were that Student receive: instruction in the Lindamood-Bell programs “LIPS,” followed by a program called “Visualizing and Verbalizing;” services from a sound-based therapy known as the Tomatis Method, that includes an interactive metronome program; instruction in the “Programs for Advancement, Challenge and Enrichment” (PACE ); and occupational therapy (although she conceded at hearing that this recommendation falls outside the scope of her professional training). Dr. Swain recommended the Lindamood-Bell program because it was the program with which she is most familiar; however, she testified that another type of program aimed at addressing the same needs would be appropriate, as well. Rise Revis discussed using a program entitled Systematic Instruction in Phoneme Awareness, Phonics, and Sight Words (SIPPS) to address phonemic awareness in lieu of the Lindamood-Bell program. Ms. Revis offered the suggestion because SIPPS is a state approved curriculum and is the curriculum adopted for use Vacaville. Student’s sixth grade SDC teacher, Marie Villanueva, advised the team that she is trained in SIPPS and suggested to integrate SIPPS with the Houghton-Mifflin program as a reading intervention. The team also discussed the use of the “Language!” program as yet another potential reading intervention to be used in the fall. The team again noted the Student is not “using his glasses” and he is not bringing his backpack to school consistently. Mother’s primary concern was that Student did not feel comfortable in his current placement and that he wanted to return to the general education classroom. Mother shared Student’s desire, because Student is “depressed.” Ms. Geller then advised the team that she wanted to be given research information on the effectiveness the SIPPS program has in remediating dyslexia. Ms. Geller also stated that she wanted Student’s placement to be changed to the STAR Academy. 41. Student’s scores from approximately a dozen tests were reviewed. Student’s writing ability was gauged through him writing a single paragraph, which he was able to compose with a passing grade, but only if he received editing help. Previous to editing, his single paragraph was poorly sequenced. Student wrote in simple sentences, and he continued to have trouble with run-on sentences due to his lack of punctuation. Student read with no expression. It was observed that during decoding multisyllabic words, Student was challenged. In math, Student could multiply two digit times one digit problems with 80 percent accuracy; two digits times multi-digits at 85 percent accuracy; two digits divided by one digit with 79 percent accuracy; and dividing multi-digit numbers by two digits with 30 percent accuracy. Student needed teacher prompting to complete the computations. Student made simple calculation errors, when he did not work carefully. Student’s verbal assessments showed he could speak simple sentences that are grammatically correct 100 percent of the time. However, when asked to create a longer sentence, he changed his words around incorrectly and made utterances that did not make sense and/or were grammatically incorrect. Student was able to resolve ambiguities in sentences with 90 percent accuracy; answer “WH” questions with 83 percent accuracy; communicate thoughts/feelings with 85 percent accuracy; identify the number of sounds within a word with 100 percent accuracy; and manipulate words at the single word level with 100 percent accuracy. The team reviewed Student’s progress on each of his 22 goals and noted Student had made some progress on all goals, and actually made significant progress on others. The team proposed thirteen different goals (some of which were new, while other existing goals were revised). Mother agreed in concept to seven of the thirteen goals. The team continued to review the IEE assessments of Dr. Grandison, Dr. Swain, and Ms. Gillian. The team discussed Dr. Swain’s report and recommendations. Vacaville created a chart to identify which recommendations should be implemented versus those that were already being implemented. With Dr. Grandison’s and Ms. Gillilan’s reports, the team abandoned the use of charts because it had taken so long to use them with Ms. Swain’s report, but continued to discuss and consider the appropriateness of their recommendations. Dr. Swain’s report and her participation in the IEP team meeting provided little or no information to the team. By failing to explain the interplay between Student’s weak cognitive abilities and his auditory processing disorder, Dr. Swain’s opinions were of slight probative value in deciding the issues presented herein. For example, the root of Student’s difficulty in interpreting auditory information in a meaningful way could just as easily be caused by other disorders along the continuum, such as Student’s poor executive function. Irrespective of the weight to be given her opinion, virtually all the accommodations she recommended to remediate an auditory processing disorder were already being implemented, as is indicated by the accommodations spelled-out in his IEP. It should be noted that Student’s teachers testified and during their testimony they each exhibited appropriate pitch variation and vocal expression, one of Dr. Swain’s recommendations. Dr. Swain’s recommendation for the PACE program is unwarranted because it is an intense 90-hour program that must be completed in three hour segments within a clinical setting and then be followed by three hours of home instruction each day. The PACE program would simply be too intrusive and disruptive to Student’s existing school schedule, including the implementation of his IEP that addresses broader concerns. 11 At least two additional IEP team meetings have been held after this October 21, 2010 IEP took place, bringing the total number of IEP meetings in the last eighteen months to thirteen. As for Ms. Gillian’s recommendations, she suggested compensatory strategies that, again, had already been implemented according to the credible testimony of each of Vacaville’s teachers, and as made clear by the accommodation pages of the IEPs. For example, Student had been placed in a quiet, structured classes with teachers who used eclectic and multi sensory approaches to teaching; he was preferentially seated near his teachers; he was provided quiet locations to work; he was provided assistance with note taking; he had access to computers; he was allowed extra time for test taking; and his general education teachers used the FM sound system in a classroom with minimal ambient noise. Furthermore, Student was encouraged to write down instruction assignments; to clarify unclear verbal instructions; to improve his organization; and to improve his study skills. His teachers faced him when they spoke, checked for understanding, and taught and re-taught their lessons. The suggested Earobics program was provided to Student by Ms. Jones. Finally, just as Ms. Gillian recommended, Vacaville had already funded a visual/perceptual assessment ultimately completed by Dr. Tran. The IEP proposed by Vacaville in October 2010 addressed his unique needs and was reasonably calculated to provide Student with meaningful educational benefit. The subsequent IEP offerings ensured meaningful educational benefit continued to either be provided or offered, depending on whether Mother consented to their implementation or not. 42. Student contends Districts improperly delayed the completion of the IEEs. The record shows that by a letter from Ms. Geller to Fairfield dated November 7, 2008, Ms. Geller requested independent psychoeducational and speech and language assessments. Because the District had not received a written authorization from Ms. Adams indicating that Ms. Geller had authority to make such requests on her behalf, the District sent Ms. Adams a letter on November 25, 2008, informing her that she could make the requests directly. By a letter dated December 5, 2008, drafted by Ms. Geller and signed by Ms. Adams, Ms. Adams confirmed that she would like the IEEs requested by Ms. Geller and that Ms. Geller could represent her son’s educational interests. On December 16, 2008, the District consented to Ms. Adam’s request for the IEEs. Immediately thereafter and for at least the remainder of the school year, Andrew Green-Ownby, the Fairfield’s Director of Special Education, proceeded to contact the assessors, Dr. Guterman and Dr. Swain, to determine whether they met SELPA criteria and were willing to conduct the IEEs. His efforts in arranging the IEPs were frustrated for reasons beyond his control. For example, Mother or Ms. Geller provided the wrong address for Dr. Guterman, so District’s correspondence did not reach her. As for Dr. Swain, she declined to accept the District’s contract for services without making significant changes, including a refusal to observe Student in an educational setting. Vacaville then offered to Ms. Adams, on six separate occasions, the names of alternative assessors and Fairfield requested input regarding any other assessors Mother preferred. She or her advocate either failed to respond Fairfield entirely, or merely declined all assessors offered by the District, with one exception. During the 2008-2009 school year, Student suggested one alternate assessor, Elea Bernou, in April 2009. However, Ms. Bernou lacked the credentials required by the Solano SELPA criteria to conduct cognitive assessments. Despite Fairfield’s best and good faith efforts to obtain the IEEs for the Student, the efforts were frustrated by Mother’s and Ms. Geller’s lack of cooperation or the lack of cooperation of their chosen assessors. Accordingly, the 2008-2009 school year ended without the IEEs being completed by no fault of Fairfield. Vacaville conducted a new speech and language assessment in October 2009 and was in the process of conducting a new psychoeducational assessment to be completed by January 2010. Despite this, Ms. Geller filed a complaint with the CDE alleging that Fairfield violated special education law by failing to provide the requested IEE’s in speech and language and neuropsychology. Anita Salvo investigated the complaint on behalf of CDE. She testified in this matter. Her investigation is not binding on this tribunal. Furthermore, her investigation was seriously flawed and incomplete. For example, she obtained Ms. Geller’s accounting of what had transpired, but she failed to afford the same opportunity to Fairfield. In fact, her only attempt to contact Fairfield occurred late in the afternoon on Christmas Eve 2009, when Fairfield’s offices were closed. Ms. Salvo issued her compliance report without speaking with Fairfield because she wanted to meet a deadline. Despite the inadequacy of her investigation, Ms. Salvo issued an order directing Fairfield to fund the IEE’s ultimately conducted by the independent assessors. She also ordered Vacaville to determine what compensatory education may be needed to remedy Fairfield’s perceived error, despite the fact that the delay in the IEEs, as discussed above, was caused by Mother, Ms. Geller, and/or the assessors. Lastly, because the findings of the independent assessors provided little information useful to the IEP teams, or what was needed for Student to receive educational benefit from Fairfield, no compensatory education is warranted, even assuming arguendo, that Fairfield should have done something more and faster to see that the independent assessments were completed sooner. This is particularly true since Mother engaged in no more than nominal participation in the IEP process once she decided to move to Vacaville. 1. Student is the petitioner in this matter and by seeking relief he assumed the burden of proving the essential elements of his claims. (Shaffer v. Weast (2005) 546 U.S. 49, 62 [126 S.Ct. 528, 163 L.Ed.2d 387].) The burden of proof is by a preponderance of the evidence. Following the PHC, counsel was instructed that after their review of the PHC order if they wish to amend the order they were required to file and serve such requests by November 9, 2010, at 5:00 p.m. No request to amend was made. Thus, the issues delineated in the PHC order remain the sole issues to be decided in this matter. 3. Under the IDEA and State law, children with disabilities have the right to a FAPE. (20 U.S.C. § 1400(d); Ed. Code,§ 56000.) To determine whether a district offered a student a FAPE, the analysis must focus on the adequacy of a district’s proposed program. (Gregory K. v. Longview School District (9th Cir.1987) 811 F.2d 1314.) Board of Education v. Rowley (1982) 458 U.S. 176 [102 S.Ct. 3034, 73 L.Ed.2d 690] (Rowley), sets forth the following guiding principles in assessing whether a student receiving special education was denied a FAPE: “Noticeably absent from the language of the statute is any substantive standard prescribing the level of education to be accorded handicapped children. Certainly the language of the statute contains no requirement like the one imposed by the lower courts –that States maximize the potential of handicapped children commensurate with the opportunity.” (Id., at p. 190). The IDEA imposes no clear obligation upon recipient states beyond the requirement that handicapped children receive some form of specialized education. (Id., at p. 195.) “Whatevever Congress meant by an ‘appropriate’ education, it is clear that it did not mean a potential-maximizing education.” (Id., at p. 197.) The Senate and House Reports unmistakably disclose Congress’ perception of the type of education required by the Act: an “appropriate education” is provided when personalized educational services are provided.” (Id., at p. 197.) “[T]he requirement that a State provide specialized educational services to handicapped children generates no additional requirement that the services so provided be sufficient to maximize each child’s potential ‘commensurate with the opportunity provided other children.’” (Id., at p. 198.) School districts are required to provide only a “basic floor of opportunity” that consists of access to specialized instruction and related services individually designed to provide educational benefit to the student. ( Id., at p. 201.) The Ninth Circuit has referred to the educational benefit standard as “meaningful educational benefit.” (N.B. v. Hellgate Elementary School Dist. (9th Cir. 2007) 541 F.3d 1202, 1212-1213; Adams v. State of Oregon (9th Cir. 1999) 195 F.2d 1141, 1149. (Adams). As set forth in Factual Findings 3 through 42, Student was provided a FAPE at all times at issue. The independent assessors’ findings did not establish Student’s burden of proof because they did not show: Student likely suffered from a discrete diagnosis of an APD, as opposed to global processing deficits; that even if an APD existed at the time of their assessments, it does not necessarily follow that his APD could have been diagnosed sooner; that Student’s IEP included accommodations, modifications, interventions, and placements that were sufficiently or identical to those ultimately recommended by the independent assessors, regardless of the assessors’ diagnoses. As set forth in Factual Findings 3 through 42, Districts developed appropriate IEPs in light of the information then available to them. In developing Student’s IEPs, Districts’ employees fully considered the input provided Mother and her educational advocate. The independent assessors’ findings do not support Student’s contention that Districts overlooked any of Student’s needs at any of his many IEP meetings held over the time at issue, and this point is underscored by the fact that the assessors failed to provide a meaningful review of Student’s educational records, and instead based their findings either exclusively or primarily on their assessments, each of which was not completed until 2010. Ms, Gillian’s report finding an APD was not completed until March 2010, and it was not presented to an IEP team until the meeting of June 2010, after Student’s completion of his fifth grade year. Even assuming that her finding is accurate (and it is not), to retroactively impose it on Districts at any time prior to June 2010 would be a violation of the “snapshot rule’ based on the record in this matter. 4. Regarding LRE, the IDEA provides in 20 U.S.C. § 1412(a)(5)(A) that, “To the maximum extent appropriate, children with disabilities, including children in public or private institutions or other care facilities, are educated with children who are not disabled;” and “special classes, separate schooling, or other removal of children with disabilities from the regular educational environment occurs only when the nature or severity of the disability of a child is such that education in regular classes with the use of supplementary aids and services cannot be achieved satisfactorily.” In light of this preference, and to determine whether a child can be placed in a general education setting, the Ninth Circuit, in Sacramento City Unified Sch. Dist. v. Rachel H. (1994) 14 F.3d 1398, 1403, adopted a balancing test that requires the consideration of four factors: (1) the educational benefits of placement full-time in a less restrictive class; (2) the non-academic benefits of such placement; (3) the effect the student would have on the teacher and children in the less restrictive class; and (4) the costs of mainstreaming the student. As set forth in Factual Findings 33 and 34, Student failed to meet his proof that his placement at the STAR Academy would be a placement in his least restrictive environment. The STAR placement would likely do more harm than good; nonacademic benefits of such a placement are virtually nonexistent; Vacaville was able to manage Student’s behaviors on the general education campus; and the cost of mainstreaming Student is of no consequence when compared to a private placement, particularly one that includes costly transportation. As set forth in Factual Findings 4 and 5; 9 and 10; 12; 16 and 17; 21; 25; and 41 and 42; Mother, acting on the advice of her advocate, failed to provide consent for Districts to fully assess Student, thus extinguishing both Districts’ ability and obligation to further identify any undiagnosed needs Student may have then had. Mother, again acting on her advocate’s advice, refused to provide consent for Districts’ implementation of appropriate IEPs, thus frustrating Districts’ good faith efforts to carry-out their duties under the IDEA. Accordingly, this conclusion provides an independent basis upon which to deny Student’s requested relief. As set forth in Factual Finding 42, irrespective of the conclusory finding of Ms. Salvo, Fairfield did not commit a procedural error by failing to provide independent assessments sooner. Again, the provision of inaccurate contact information for the assessors, as well as the assessors’ lack of cooperation, was the actual cause for any delay in Fairfield’s not completing the assessments sooner. Fairfield, as made clear by the testimony of Mr. Green-Ownby, established that it acted diligently and reasonably in attempting to schedule the requested IEE’s. As set forth in Factual Findings 3 through 42, Student failed to meet his burden of proof to establish his placement at STAR Academy is warranted as compensatory education. Both Fairfield and Vacaville educational programs were reasonably calculated to provide with a FAPE, and so provided it to the extent possible in light of Mother’s lack of cooperation. 8. Student is confronted with a constellation of learning challenges, as Districts’ observations, evaluations, and assessments consistently and accurately showed. Student’s contention that he is behind grade level because he suffers predominately from an auditory processing disorder is not supported by the weight of the evidence. Pursuant to California Education Code section 56507, subdivision (d), the hearing decision must indicate the extent to which each party has prevailed on each issue heard and decided. Fairfield and Vacaville prevailed on all issues.